Overall Length of 8", 3.8" Drop Point Hollow Ground Satin Finished Blade, Weighing 4.5 0z. The Puma SGB Coyote Fixed Blade Knife is part of the Puma SGB line of knives. The SGB knives use the highest quality German blade steel and blades are handmade by skilled craftsman. In order to meet a more attractive price, the blades are shipped from Germany to China for assembly. The 1.4116 German Cutlery Stainless Steel blades are razor sharp and extremely durable. 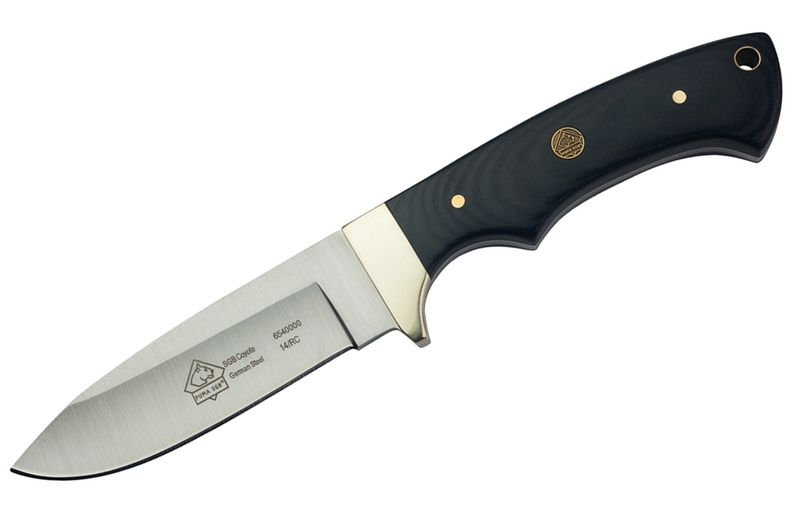 The Puma SGB Coyote mates a full-tang, drop point blade with a handle that provides an excellent grip and look. The Coyote makes an excellent utility knife that is great for your next trip into the bush.